Length of treatment varies depending on your condition, how long it has been going on, and how your body responds to acupuncture. It is difficult to estimate exactly how many sessions it will take. In our experience Oriental Medicine makes a big difference in health and wellness as long as you stick with it. It is not a quick fix, and some give up too soon. It is rare to get full resolution of a health problem within 1 or even 2 treatments. We will need to see you regularly, at least 1-2 times per week for 6-8 treatments, and then we will re-evaluate results. In China, acupuncture is often prescribed for 10 days in a row for most problems. It works best if we see you more frequently. As your condition improves we can decrease treatment frequency to once per week or every other week. 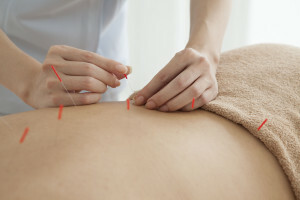 For some conditions we can achieve faster results if we combine both acupuncture and herbal therapy. We have package deals and family discounts available to help you save money and still get the amount and frequency of treatments you need to feel better. See our Prices page for more information. Once your health is at a level you are happy with, it is good to come in for a treatment once a month to keep your immune system, digestion, and energy levels higher. Individual treatments average anywhere from 30 to 60 minutes depending on what treatment you are receiving. An acupuncture treatment takes about 1 hour.